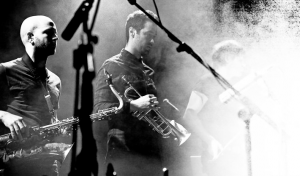 The Killer Horns are a London-based three-piece freelance horn section. They have worked together for many years gigging, recording and touring with some of the UK’s top artists, and are all extremely experienced performers, composers and arrangers. Together, they are able to work quickly and efficiently to produce high quality, powerful and catchy horn lines, and deliver professional, high-energy performances – whatever the context or style of music. The section have worked with: Muse, TLC, Cee Lo, Erykah Badu, Chronixx, Dizzee Rascal, The Who, Sam Smith, Roni Size, Deodato, Craig David, Kim Wilde, Estelle, Lapalux, Odesza, Jamie Cullum, McFly, Vanessa-Mae, Mika, Maribou State, George FitzGerald, Tim Minchin, Jamie Woon, Lapalux, Honne, PREP, Bat For Lashes, Bonobo, Alice Russell, Aquilo, Jacob Banks, The Herbaliser, Zarif, Andreya Triana, Jonathan Jeremiah, The Four Tops, The Cinematic Orchestra, Jono McCleery, Kinny, David McAlmont, Remi Nicole, TM Juke, Odyssey, The Heritage Orchestra, Nostalgia 77, Anchorsong, Matti Roots, Lynval Golding (The Specials), The Jack Baker Trio, Tha 4orce, The Ronnie Scott Big Band, Pama International, Lucky Soul, Roberto Pla’s Latin Ensemble, Zigaboo Modeliste (The Meters), Django Bates, Billy Cobham, Hermeto Pascoal, The Royal Philharmonic Orchestra and many others. The section have completed tours all over the world, supporting the likes of Beyonce, Rihanna, Ziggy Marley, Chris Brown and Toots and Maytals, at venues such as the O2 Arena, Shepherds Bush Empire and Ronnie Scott’s, and played at festivals including Glastonbury, O2 Wireless, Paleo, The Big Chill and Pukkelpop. 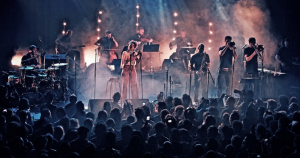 The Killer Horns have performed on Later With Jools Holland, The X Factor, CDUK, Record of the Year, Smash Hits Poll Winners, ‘Album De La Semaine’ on Canal Plus, GMTV and MTV. Radio work includes BBC Radio 1 (Gilles Peterson’s Worldwide), BBC Radio 1 Extra, and BBC Radio 2. The section have also broadcast live from BBC Maida Vale and Abbey Road Studios.